Budgeting for a trip abroad, for business or pleasure, can be a chore. Outside of accommodation and travel expenses, spending or exchanging money while abroad can cost you more than the total on the receipt. There are steps you can take to limit or even prevent this though. 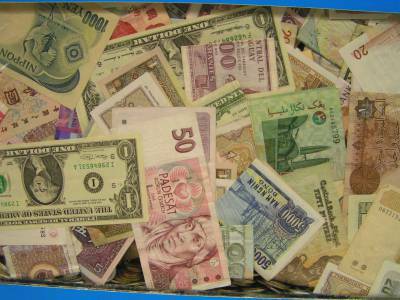 Read on for 5 tips on how to save money when dealing with foreign currencies. Pick your time and place. Exchange rates can vary, so picking your time wisely can be important. Equally, different companies and even locations have different rates. Your local post office is likely to give you a worse rate than the one in your town centre, while banks and building societies often offer existing customers a better rate. High commission charges are another concern, as you may not realise the damage they've done until the receipt is in your hand. Be sure to get an accurate, informed opinion before throwing your cash at the nearest available exchange. A bit of patience and research could well see you saving money. Whether you pick your exchanged money up from the airport, or have it delivered to your home, you're sure to come out of it better than you would by exchanging directly at the airport. It's also worth considering that airports have their restrictions when it comes to currency providers, so if possible it will be better to cut out this pick-up point as a middle ground and order straight to your home. Never flock blindly to ‘commission-free' exchanges advertised as bargains. The lack of commission does not guarantee a better deal for you, as there are likely to be other fees included in the rate. If you have to deal directly over the counter, be sure to know what charges your debit or credit card provider may enforce. If there are any exchange related fees, you should withdraw cash beforehand to complete your transaction. If possible, you should not be using your card once you have left the country. Why? Two words: unexpected fees. Most banks will hit you with two or three charges for cash withdrawals alone. If you have to use a card in an emergency, you can expect a hidden foreign currency charge, interest and a withdrawal fee that can add up to make that one use really cost you. A £100 bill could end up costing in excess of £110 when the additional fees catch up. When converting your money, do it in bulk. Whether this is in advance of your travels, or a top-up withdrawal if funds begin to run out, it's better to have a safety blanket than make multiple exchanges. While at home, a larger withdrawal can even see your rate become slightly more favourable, whereas once you are abroad, you will have to pay for any individual transactions.Fees soon add up, as does the money that trickles through your fingers each time you make an exchange. It's a cliché, but in terms of your cash levels when outside of the UK, it is better to have too much than too little. Tell your bank before you go. While hardly a money saving tip, this simple action could prevent your accounts from being frozen or even locked. The Internet enables more fraud transactions than ever before and security is of the utmost importance when it comes to your personal finances. With that in mind, you'd probably rather have your bank question a rogue transaction from a far foreign land, rather than let it slide. However, trying to tell this to a holidaymaker attempting to use their card in an emergency is not recommended. There are many steps you can take to make your money go further, but ultimately you should do your research, not rush into anything and take more cash than you think you'll need. It's better to have change than further charges. For more information and figurers surrounding currency exchange, look at the 2013 FX Overview E-Book, published by Axia FX.